The Yankees Win! Theeeee Yankees Win! The champagne is drying in the locker room, and the Bronx is celebrating this morning as the New York Yankees have claimed their 27th World Series championship as the best team in Major League Baseball. To the victors go the spoils, like rings, a trophy, and a ticker-tape parade through New York’s Canyon Of Heroes. The Yankees topped the Philadelphia Phillies 4 games to 2. The baseball season is officially over for 2009. The man who won the series for the Yankees wasn’t Capt. 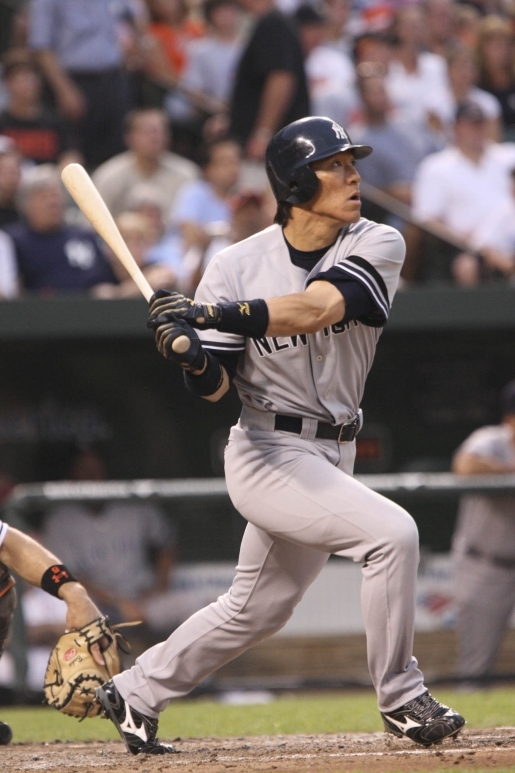 Intangibles, Derek Jeter, or their billion-dollar free agent Alex Rodriguez, it was a 35-year-old Japanese import named Hideki Matsui. Hit-deki (or Godzilla) drove in six runs in the clinching game to secure the win and the MVP trophy for himself, making him the first Japanese player to win the postseason’s top honor.